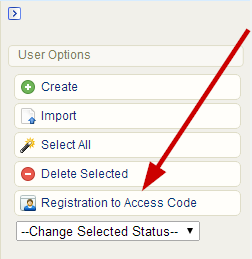 Site Managers can now register users to access codes from the accounts page. Registering users to access codes was previously available only to Campus Admins/Managers. To see this change, log in to Informetica as a Site Manager, select the Users tab > Accounts > User Options menu. 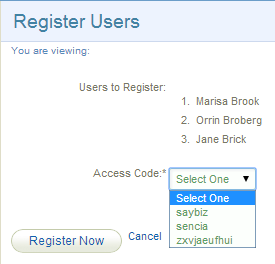 Select one or more users from the accounts page and then use the Registration to Access Code button. You will be able to apply one access code to the selected users.